We’re coming to Colorado in September! First off, we’ll be appearing at FEST OF AL on September 22-23 at the Doubletree Hilton in Denver, CO. 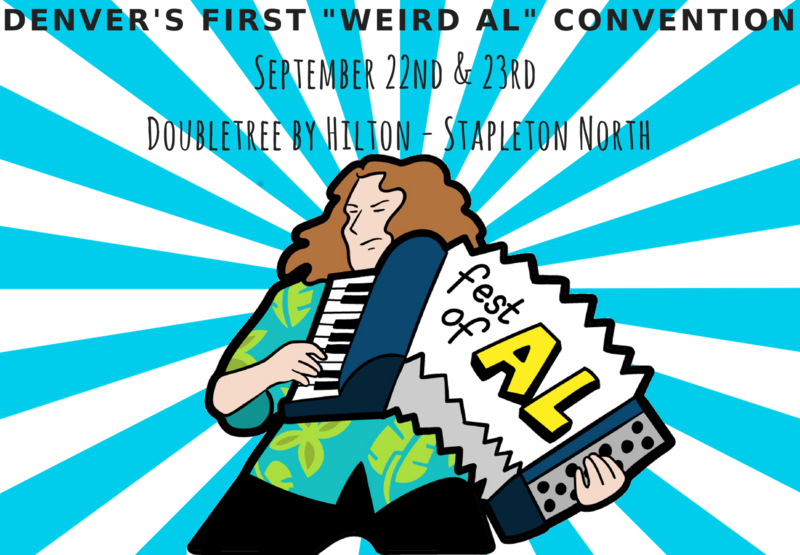 The well-received Nuclear Bubble Wrap/Smashy Claw dual concert is returning to this convention– a celebration of all things “Weird Al” Yankovic! The concert will be on Saturday, September 22nd from 2:00 to 4:00 PM. On Sunday the 23rd, we’ll be hosting a songwriter’s panel! Get your tickets now! More info here. Additionally, we’re playing at Pinball Jones Campus West in Fort Collins on Friday, September 21! More info here.